Get your 67% discounted lifetime licence now before the price goes up to $97 a MONTH! 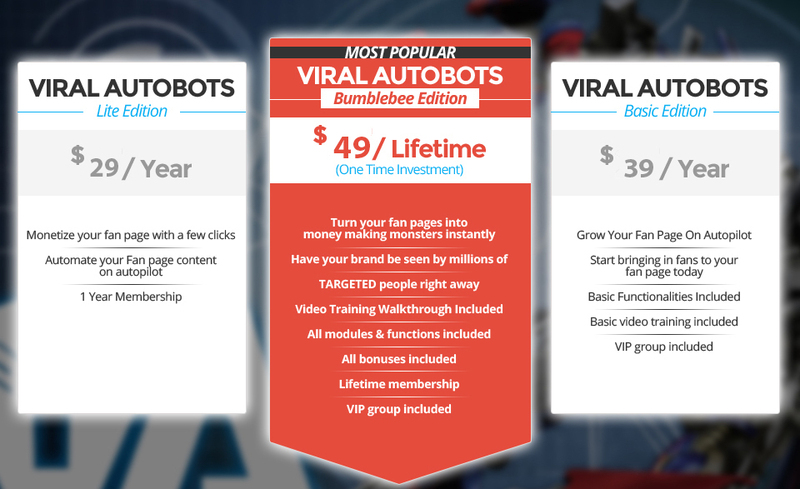 Launch has FINISHED, but today only (Thursday 17th Of December) we are giving you one final chance to get Viral Autobots before goes up to dramatically to a monthly price. 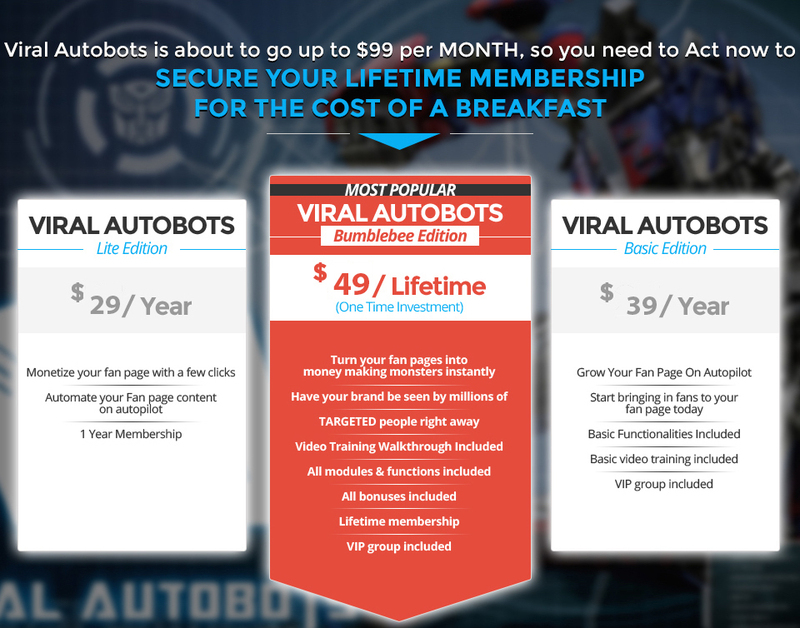 If you act RIGHT NOW you can get a LIFETIME MEMBERSHIP for a VERY low 1 time Investment... So don't say i told you so & start right now! Tomorrow The price goes up to $97 a MONTH... Do you want to miss out on a Lifetime licence for 1 time invetment? Get it now for the cheapest it will EVER be, or come back next week when it's $97 a month!